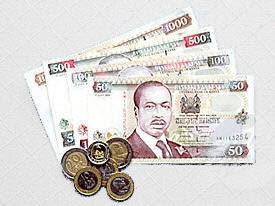 According to the Kenyan language, January AKA Njaanuary is the hottest month when it comes to financial crisis. It is the moment where many try to come into terms with the harsh conditions after the massive spending during the festive season and not forgetting back to school in the beginning of the month. Due to the current economic situation, all domestic rules and regulations have been revised as below. 1. The Kitchen is declared a restricted zone. Entry and/or passage shall require express permission from myself upon submission of written request. 2. Breakfast is banned. This matter cannot be discussed! 3. Such food items as rice, chicken, butter, jam, eggs, bread and milk are restricted. Anyone intending to eat any of such foodstuffs must write to me in triplicate, with three days notice, giving justifications. 4. Watering with a hose pipe is banned. Further, only food-giving plants shall be watered. No lawns or flowers shall receive water. reasons.6. All security lights should be removed with immediate effect. All dependents shall abide by an all- night guard-duty roster I shall make available shortly. 7. No dependent shall entertain friends indoors, far less attempt to offer food, drinks or even music. Those who want their guests to listen to music shall sing for them.8. No one is allowed to talk to officials from police, Council or Court Bailiffs; doing so shall carry an instantaneous penalty of ejection from my house. 9. Anybody who breaks a glass, furniture or any other property in my house shall immediately have to seek temporary employment somewhere to earn money to replace such broken items. town county Rep, Village Chief, or Pastor giving convincing reasons why they can’t stay at their homes. Failure to do this shall result in their being turned away, at the gate, upon arrival.